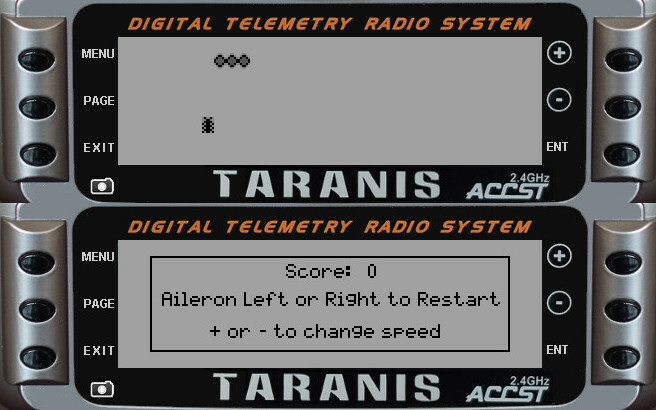 Use the Right stick to restart the game once it is terminated by a collision. Use the + and - buttons to change the speed of the snake. The snake's tail will grow as you eat the food. A collision with the walls or the snakes tail will terminate the game. Try to plan your moves to make the tail as long as possible. Add the three bmp files to the /SCRIPTS/Telemetry folder or change the path in the lua source file as appropriate.